I’ve just about eaten my weight in watermelon and ice cream so far this summer. I can’t help it! The melons have just been so crazy sweet and juicy, and the ice cream! Well, let’s just say the family has taken one too many trips to get a cone on those extra warm nights. Which is why I need things like fruit and granola cereal recipes in my life – to balance out the bad snacking habits I seem to develop in the summertime. 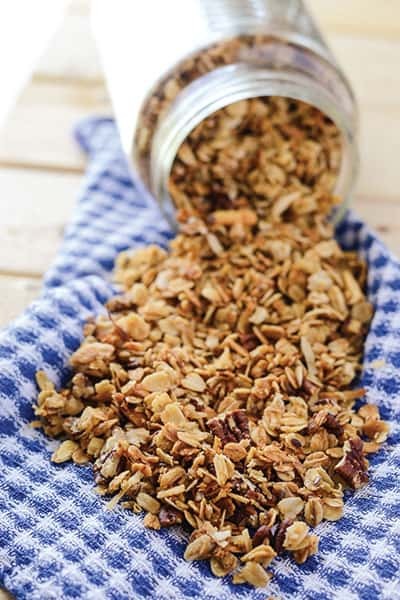 You may have seen my Frugal Homemade Granola from a few years ago floating around the site. 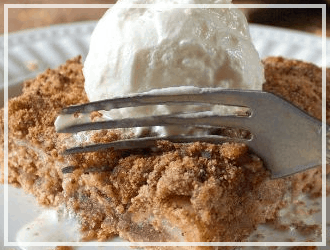 It’s still a favorite of mine, but I stumbled upon a new recipe that I’ve fallen hard for. 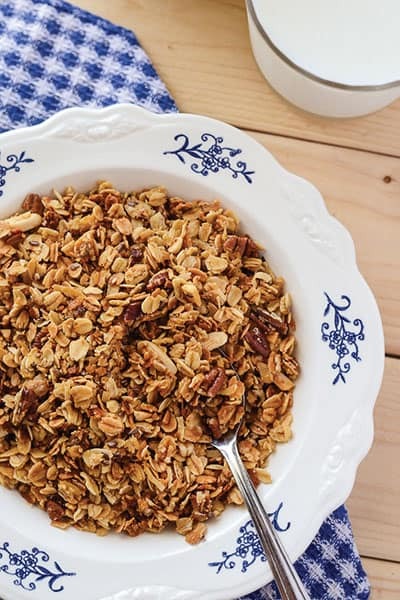 This Homemade Granola Cereal Recipe is the bomb! 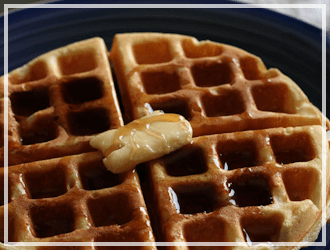 Why buy a box off the grocery store shelf, when you can make a wholesome, more frugal version at home, with ingredients you choose?! It’s so simple to make, it’s silly. Dump everything in a big bowl. Stir it together real good with your favorite wooden spoon. 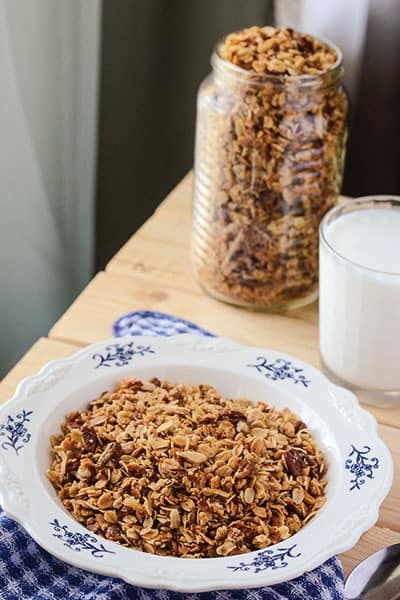 This granola cereal recipe is great by itself with some cold milk, but I also love it on any sort of yogurt or with fresh fruit. I’ve even topped my frozen yogurt with it! OK, OK…so maybe it was just regular ice cream. But the granola balances it out, right?? 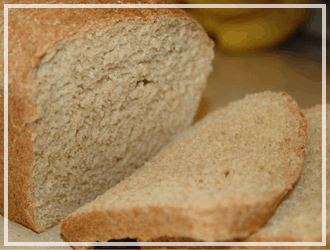 Either way, it’s a delicious addition to your pantry, and even a half batch will last you a while! 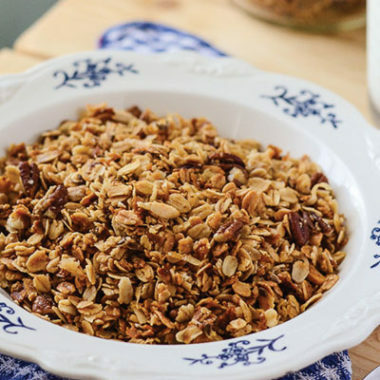 For a larger family of granola-lovers, go big or go home. 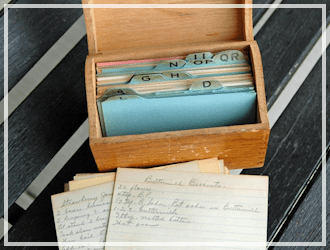 As always, I’m including a printable recipe card for your cookbook-stashing convenience! Servings: 6 -A whole lot! 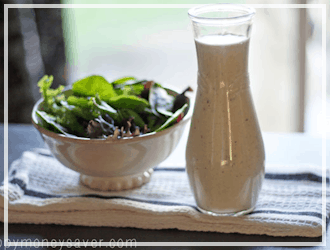 A fast, easy, health(ier!) 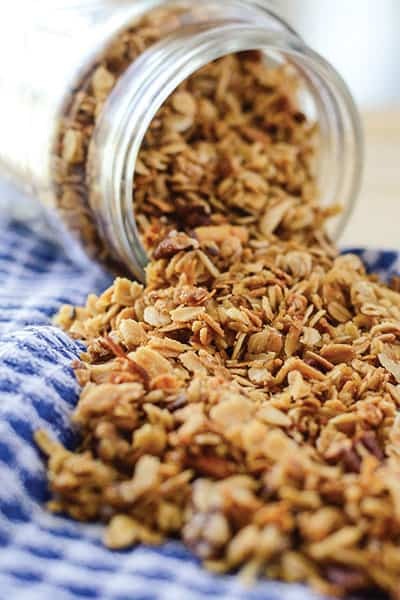 granola, made with all natural ingredients and no extra sugar! Combine all ingredients together in a large bowl and mix with a wooden spoon until everything is evenly coated. 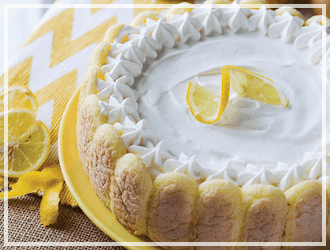 Spread out in an even layer on a baking sheet. 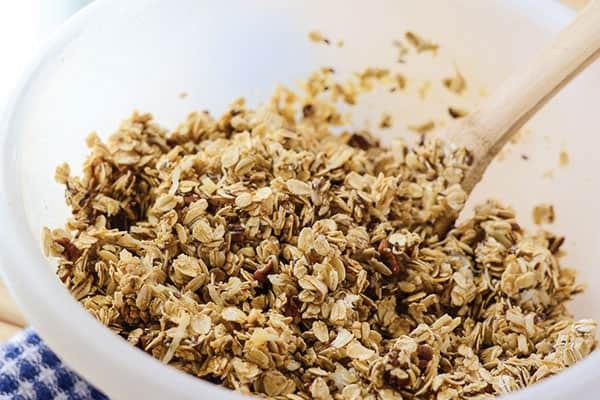 Bake, stirring after every 15 minutes until the granola is very light golden brown. It should take 20-30 minutes. If you like your granola crunchier with a toastier flavor, bake it a little longer, keeping a close eye on it - if it gets dark it will taste burnt. Will keep for two weeks in an airtight container. Looking for more healthy eats! Take a look at these! 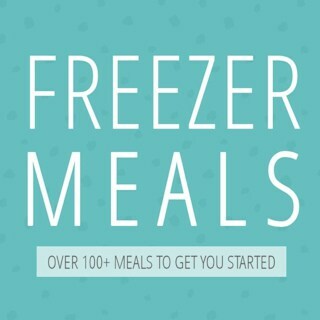 —> See ALL of my Frugal Recipes here. 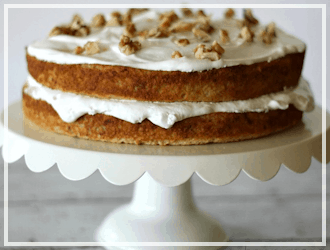 Don’t forget to subscribe to my email e-newsletter and be first to find out when I post new recipes, along with all kinds of great money saving deals each day! Should I use sweetened or unsweetened coconut? 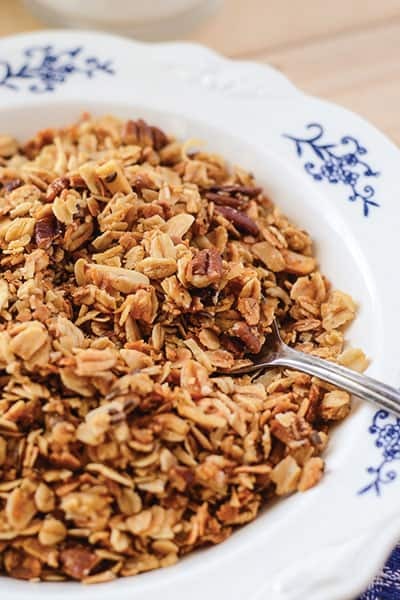 Could I use oil instead of butter in the granola recipe? 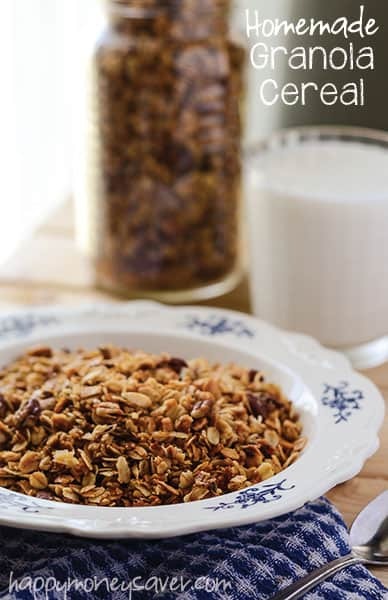 I made this recipe and The Homemade Granola Cereal was the delicious ever! Thank you for the super recipe. Can’t wait to make more them. 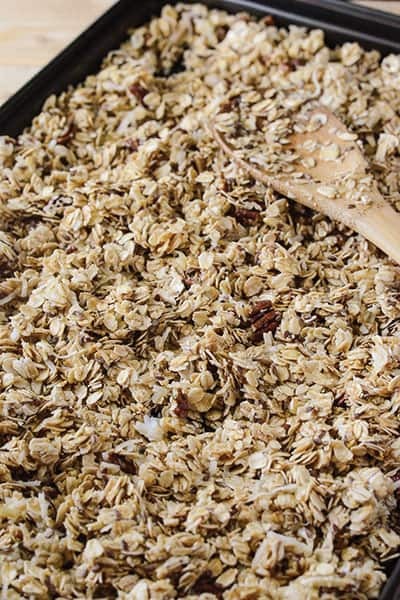 Great granola recipe. 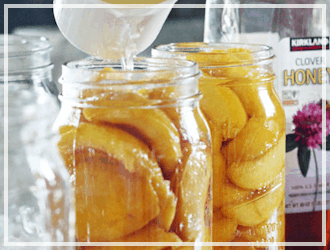 Perfect for use with fresh raspberries from the garden. It is so easy to make! 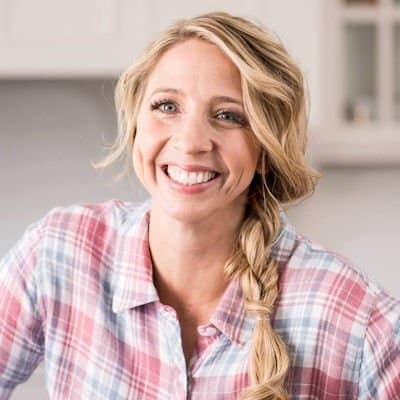 I love simple recipes, too! Looks really yummy! What size bag of coconut? There are 2 different sizes? I am assuming 10oz? No.. the recipes says one bag not one Cup. So it is important to know what size of bag….